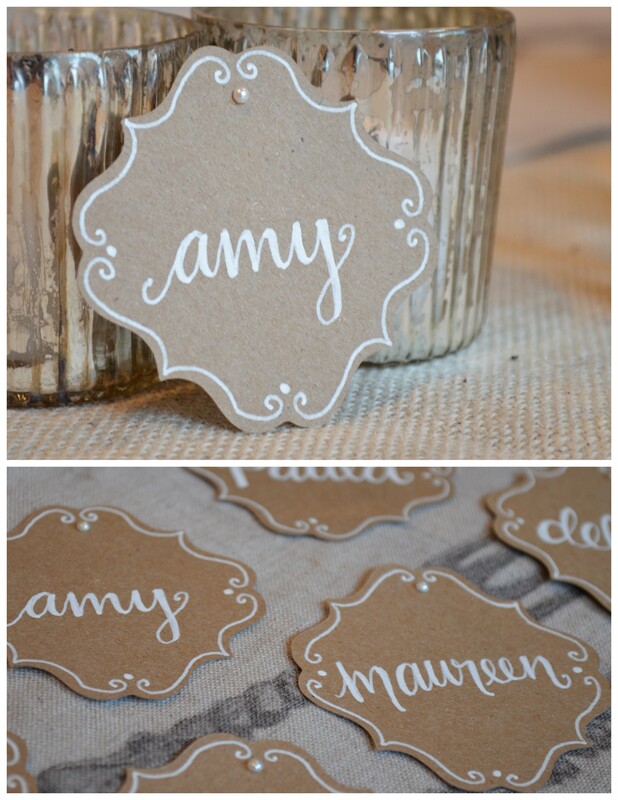 A while ago, I had the chance to create these simple yet charming place cards for a good friend of mine. She was hosting a vintage-themed brunch and asked me to help out with styling the table. I was more than happy to lend a hand! Want to make something similar for your next party? You can find the supplies I used below. Etsy is filled with pretty paper tags in countless colors and styles that would be perfect for a project like this.